Well it's been about 2 years since I last posted here... I spent the last 2 years doing a LOT of research about LEGO... got a lot of research info from the Billund Archives, and with my network of LEGO friends from around the world (especially Europe! 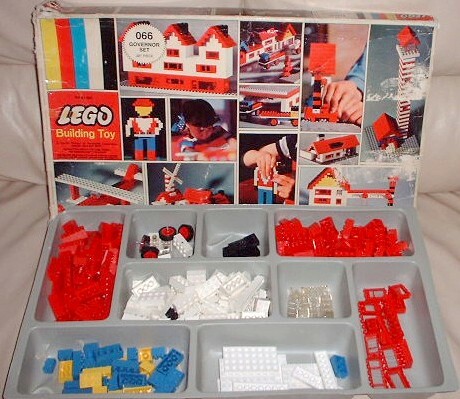 ), I had compiled another Encyclopedic volume on the history of LEGO sets and parts... labeled THE UNOFFICIAL LEGO SETS/PARTS COLLECTORS GUIDE (1949-1990s) on DVD (it got too big at 700MB to be a CD!). There are 2,800 pages with an excess of 6000 images, many historic, many never before seen. 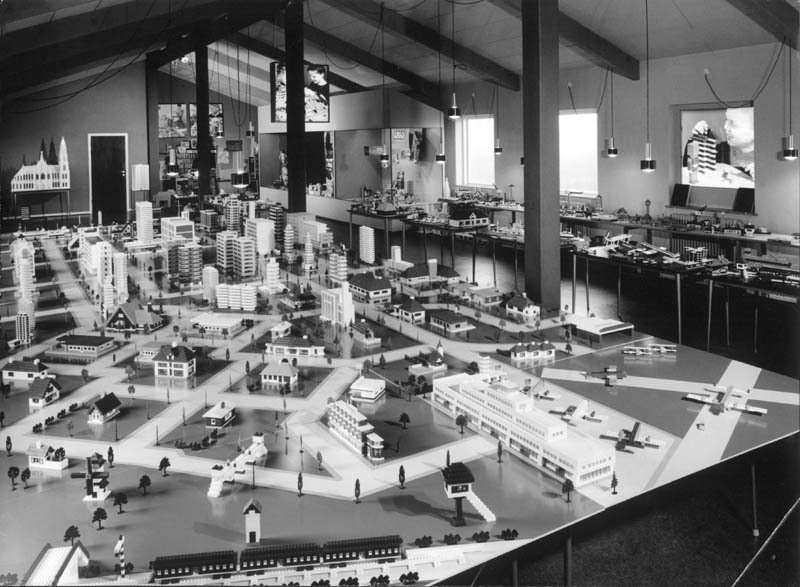 This includes everything from green classic windows/doors of Norway (1954), to the very rare GEAS LEGO sets of Sweden (1950), to a brown box Town Plan set that was a Sears Department Store exclusive in the USA (1969). There are chapters on everything imaginable from Promotional sets for the Scandinavian Ferry Lines, to the Weetabix and Kellogg's Cereal sets of Britain/Ireland... there are Italian Minitalia style sets sold in Japan... a wavy flag of the Faroe Islands (looks similar to the other 5 Scandinavian flags), wooden box sets in 80 different flavors... Continental European retailer individual parts boxes... a French/Norwegian/Danish #800 set so unusual (1965-66) that no instructions were included, and we are left without any model ideas to build. There are the variations to the gray 12V train track era sets that came in different boxes, with different contents... all the Scala Necklace/Jewelry sets, Paradisa in all its' pink glory, every Fabuland set ever made, the legendary 1:87 cars/trucks that can command up to $4000 per vehicle. It's in there! 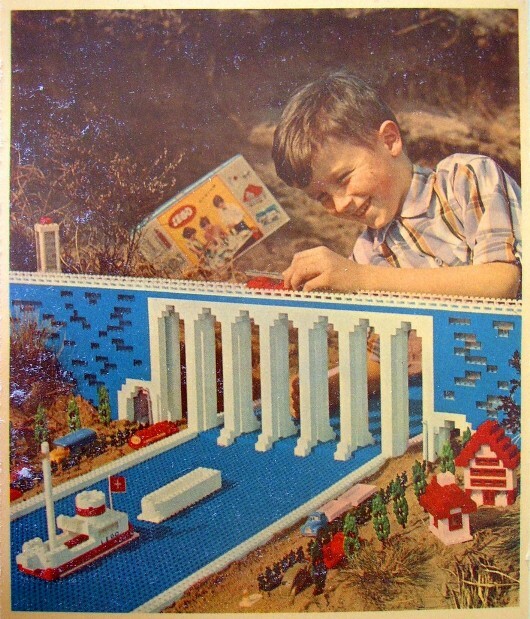 Also there's a 400 page dollars and Euros pricelist for the older (1949-1980) sets, where the Bricklink database doesn't always have a recent price entry. And there's early LEGO road signs with bases in red, silver, blue, dark brown, light browk, light gray, medium gray, dark gray, and white... printed bricks with THEATRE/THEATER/TEATER/TEATRO in 5 different colors. The Billund Archives have little information on early Norwegian, Swedish, USA and Canadian sets... since they let the licensee's do what they wanted without interference from Billund. So there are a lot of items that are unknown to the Billund Archives and Collections. Note: Poster TSI of Germany had some criticism of the sample chapter... but I made modifications to address the issues he made. Shipping to USA $2.00, Canada $3.00, rest of world... $3.50. But the download is the best way to go... no shipping and no Customs!! If you have one of my old CDs... this new DVD has updates to all the old chapters (some were rewritten with dozens of new images)... as well as chapters covering the 1980s and early 1990s. My first CD (2006) started with 1000 pages... now the DVD has 2800 pages. Sounds amazing. Even though shipping is very reasonable, have you considered uploading the file/s to a Dropbox account or similar and then giving purchasers access to download? Would reduce your shipping costs and time packing, and let people get hold of the product more quickly. Yes, that is being worked on! Several folks have already asked about that, so as soon as that is available, I'll let folks know. Once ordered, you will get a private EMAIL with install instructions that should only take about 6-10 minutes to have the entire DVD contents on your Computer Desktop! Also, it will make free future updates (I'm always finding something new!) easy to install! These parts are very interesting. I have a couple of rare misprinted or regular bricks in a variety of colors. The only difference is this is gold. The windows are great, and I can only imagine all the other rare parts that some of us have never seen. This is very interesting and intriguing. Do you mind showing us some more pictures, maybe some never before seen sets. I also thank you for all of the effort and research you put into this. I'm sure it will be enjoyed by many people. Besides the LEGO basic sets having writing in the local languages, the spare parts packs did also. 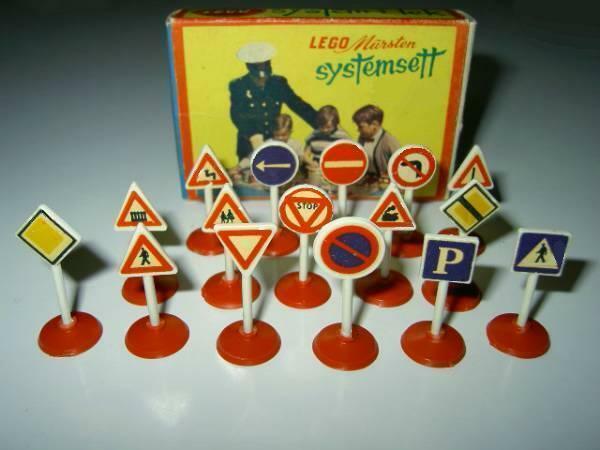 Here is a very rare 1955-56 Norwegian spare parts pack for LEGO road signs. These rare road signs had red bases for the first 2 years, but eventually switched over to the standard "gray base" road signs by 1957. These red road signs are very rare and collectible on the secondary market... and command very steep prices today. This is the continental European version of the 810 Town Plan set. 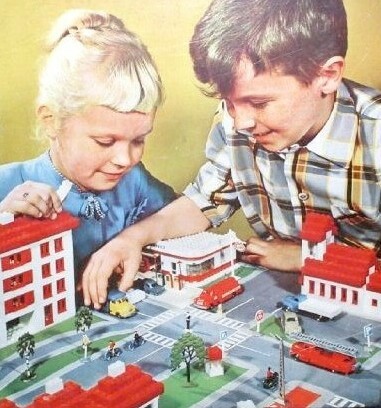 This set came in 2 box top versions... a UK/Ireland/Australia box with the Town Plan scene as a left driving scene, and a continental European version (below) that was sold in Denmark, Norway, Finland, Belgium, France, Switzerland, Italy, Portugal and Japan (not sold in Germany, Sweden, Netherlands or Austria). Although the continental 810 Town Plan set was sold in 9 countries (as opposed to 3 countries for the UK version), this continental version is very rare compared to the UK version. I would say that there are about 20 of the UK versions for every 1 of the continental versions. So this continental version was sold in very small quantities. There is an entire chapter (Appendix A) devoted to this unique LEGO item... the USA/Canada "prototype" 717 Junior Constructor set. This set was seen in all 1961-63 Samsonite USA/Canada LEGO catalogs, and as a child in the 1960s, I wanted this "Cotswold Cottage" type set. However, I was never able to find this in any toy store back then. 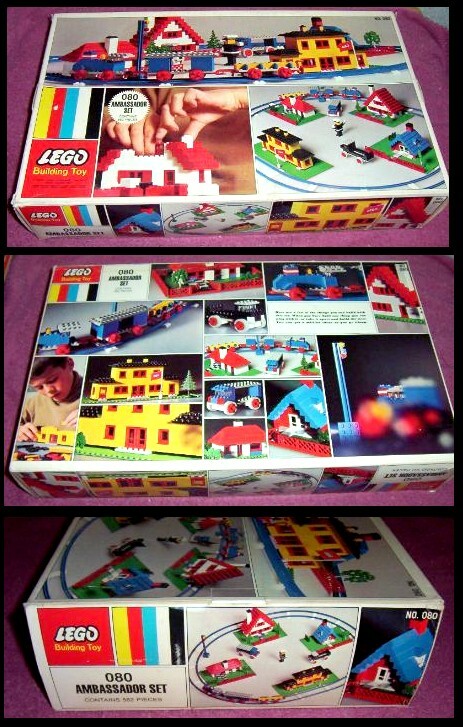 40 years later, I found out why... they created a mockup box to photograph... and later decided to make a smaller house (with only 4 instead of 9 10x20 thick baseplates). 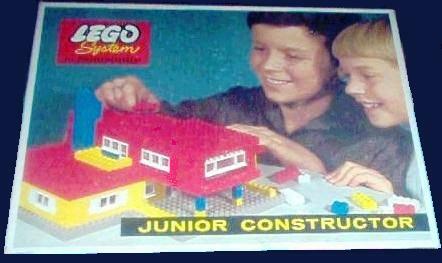 The actually produced 717 Junior Constructor house is of a modern design, with a flat roof. The 810 Town Plan set came with a Town Plan fold up board made out of cardboard. 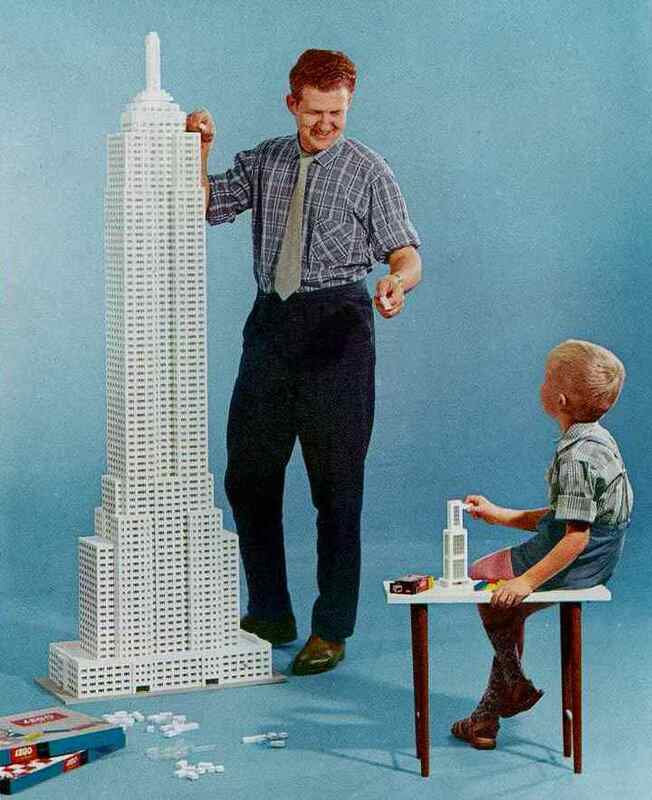 The first 1960s style (cardboard) board had this image on the cover (below). It shows Kjeld Kirk Kristiansen (current majority owner of TLG) as a young child of 11 years old (the blond girl was likely a young model). This Town Plan board was introduced in late 1959. Within a year KKK had a growth spurt, and TLG decided that they wanted an updated design for both the Town Plan board, as well as the (new in 1961) 810 Town Plan set. So a year or so after the first image was taken of KKK and that blond girl... both KKK and the girl had to wear the same clothes, and try to get their hair style the same... and even position themselves the same in front of the cameral... (see the after image in the previous post)... when you compare the 2 images... you can see that KKK looks older on the Town Plan top... even his hair is not as curly. When you look at the 2 children's hand positioning, you can also see some differences. 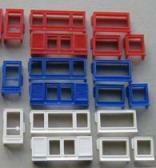 Also, the prototype 717 Junior Constructor set seen in the previous post, it was never sold like that. 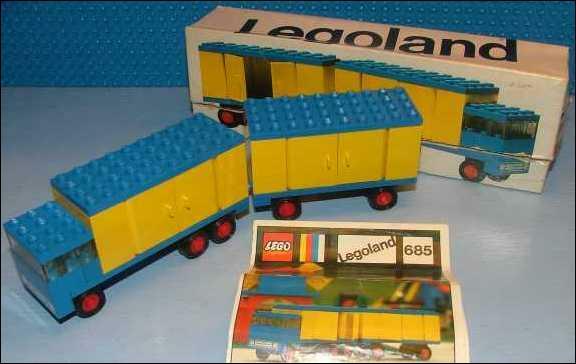 The actually sold (1961-65) 717 set is seen here in this box image. The house model only uses 4 baseplates (instead of 9 in the prototype)... but ironically the same number of white windows/doors was used in both models!! 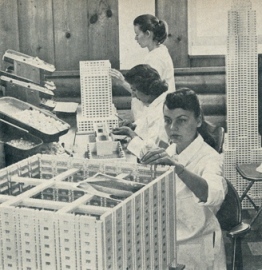 Note: the prototype and actually produced models were the largest LEGO building models of the 20th century! 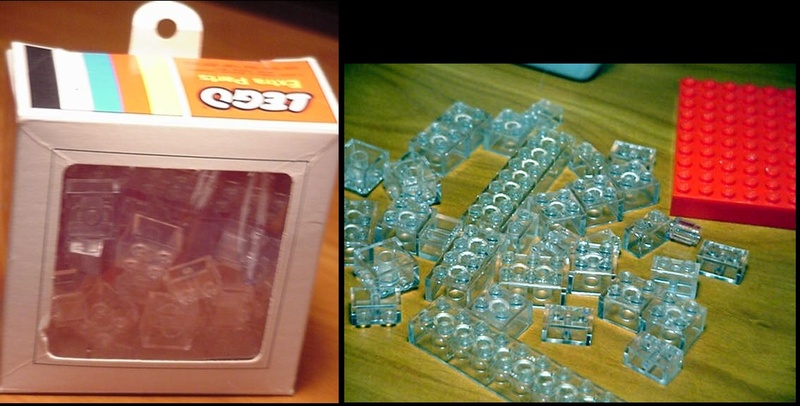 The only known source of 2x8 and 2x10 trans-clear bricks... the 045 USA Samsonite LEGO spare parts pack of 1968-70. The 1964 Canadian Samsonite #610 Super Wheel Toy Set. The USA version comes in a tall box. The Canadian version comes in a long box. I've seen the USA version sell for as cheap as $18... and seen the Canadian version sell for as much as $383, both on Ebay. 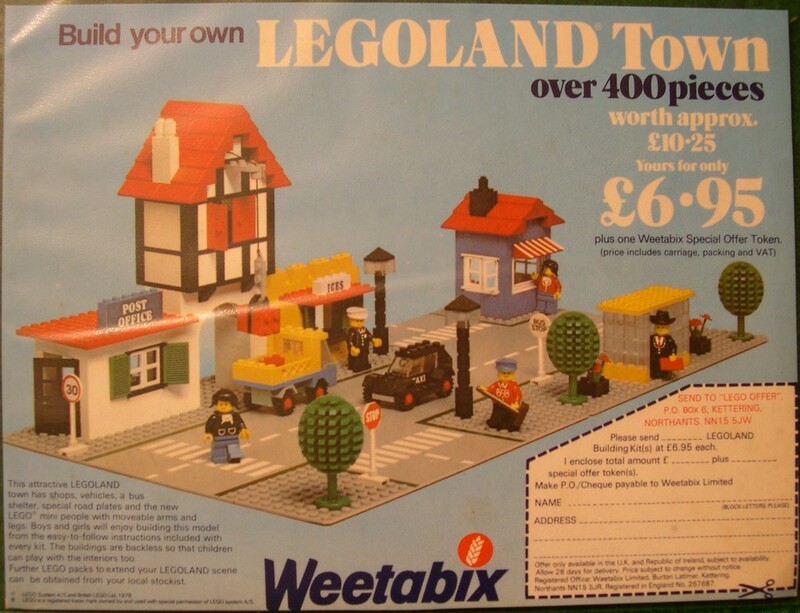 This set was never sold elsewhere. 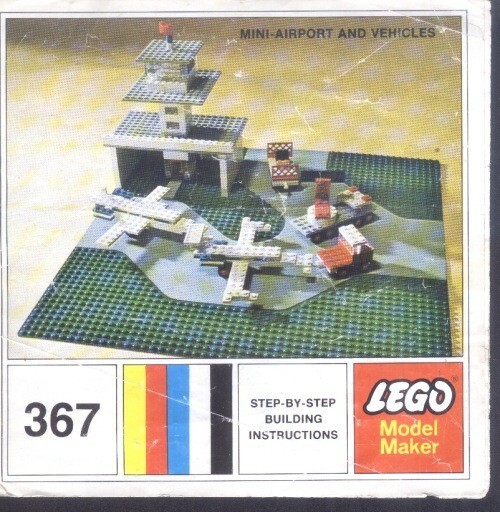 The 367 Airport Set of 1970-71, was a USA only Samsonite LEGO set. This set had the very first unique road plate... a 1970 50x50 stud green plate with gray roadway surface (no lane markings), which also sold briefly as the standalone #078 Road Plate. The 080 Basic set of 1968-70 was only sold in continental Europe (not Britain or Australia). It was also not sold in North America... EXCEPT... by the USA luxury toy store by the name of FAO SCHWARZ (their flagship toy store is on 5th Ave. in Manhattan) from 1969-70. FAO SCHWARZ sold the 080 set as THE AMBASSADOR SET... only available in their store, or from their retailer catalog. 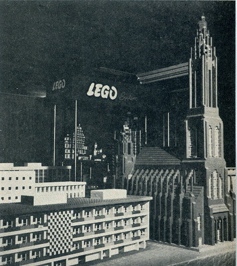 There is an entire chapter of my LEGO DVD devoted to over 100 unique USA/Canada Department Store Exclusive Sets of 1961-75. The 066 Basic Set of 1969-72 (sold in continental Europe, Britain and Australia) was not sold in North America... except as another FAO SCHWARZ exclusive set (1969-70)... known as THE GOVERNORS SET. 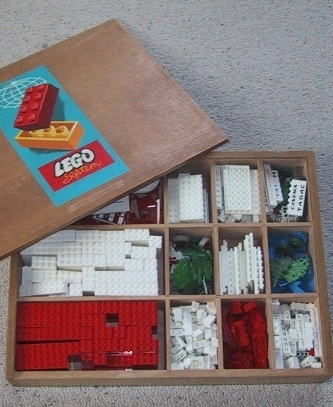 One additional feature of the Unofficial LEGO Sets/Parts Collectors Guide (1949-90s) on DVD is that it gives over 10,000 prices for grades Very Good, Excellent, Mint In Box, and Mint In Sealed Box for LEGO sets. Why would a person need this information? Well a few reasons... 1) to compare prices on Ebay and other auctions, 2) if your old LEGO collection was stolen or lost in a fire... there is NO OTHER SOURCE of price guide information that an Insurance Company will accept (they won't accept the sales guide in Bricklink... not specific enough). One buyer of my LEGO DVD got the US Postal Service to accept my price guide for his insurance valuation claim. 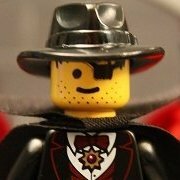 If you ever plan on insuring your LEGO collection, and you have any older sets, then there is NO OTHER SOURCE of a price/insurance guide out there. A rarity of "6 Bricks" on the other LEGO guide doesn't mean ANYTHING to an insurance claims adjuster! Here's some free sample chapters to view, but of my older Volume 1 (CD), which was 1000 pages. The combined Vol. 1 & 2 (DVD) has 2,800 pages. In all of these chapters I give a very detailed historic perspective of LEGO from the earliest of times (1949) until the present. Enjoy! The LEGO DVD chapter of 1:87 Cars/Trucks (1955-70) has the most valuable of all LEGO parts.... promotional and rare color vehicles. A 1957-58 Opel Kapitän car (only 8 known, 5 yellow, 2 red, 1 orange) can fetch up to $3000-$5000. A Fiat 1800 in black was spotted on Ebay selling for $3235 (only 1/2 dozen known in black. And among the 1:87 trucks... the #257 Bedford Delivery Truck with promotional writing can easily top $2000. This version shows the Danny Dairy company, and dates to circa 1963. This truck is printed in 4 languages. On the side not showing it says "Milk DANNY Lait" (English/French). 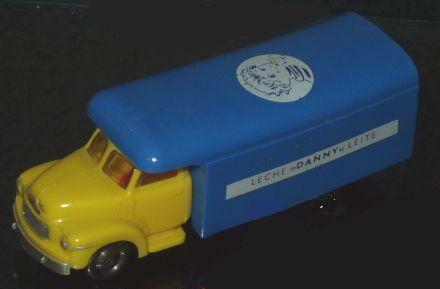 On the side showing it shows "Leche DANNY Leite" (Spanish/Portuguese). This is a very rare truck! Notice the red truck with the meat/poultry/fish emblems on the red trailer? There are only about 10 of those known... the rarest of all these trailers... and well worth over $1000. 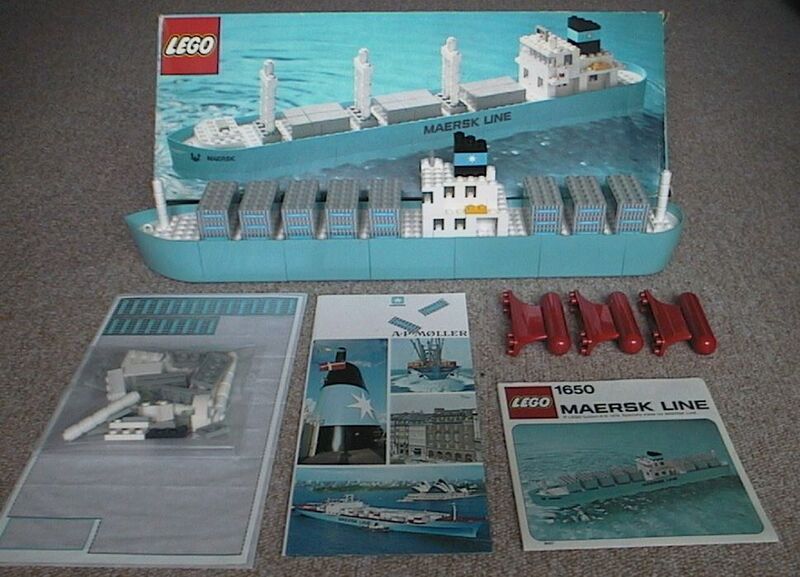 The legendary #1650 Maersk Line Container Set of 1974 is arguably the most highly priced LEGO set ever. MISB examples have sold for up to $3000 on Ebay. Here is the promotional model set, contents, instructions, sticker sheet, red weighted keels, and a brochure on A. P. Moller, the parent company of MAERSK Corp.
That Maersk boat is . I love all the giant town displays. That build your own town set for just $6.95 is awesome. 1) there are 4 websites on LEGO brick types, LEGO prototypes, LEGO TV Commercials, and LEGO company history that a book cannot link to. 2) it would cost over $100 to publish a set of 4 700 page books with 6000 pictures (mostly color). Wow... I didn't know there were pieces that rare until now! I knew some pieces were more or less common than others, but these are crazy! I love the Maersk boat, and that town for $6.95 was such a deal, I'm jealous of everyone who bought it. Yes some LEGO pieces can sell for thousands... but those are mainly the 1:87 cars/trucks of 1955-70, which have a strong following among non-LEGO cast vehicle collectors, as well as LEGO collectors. 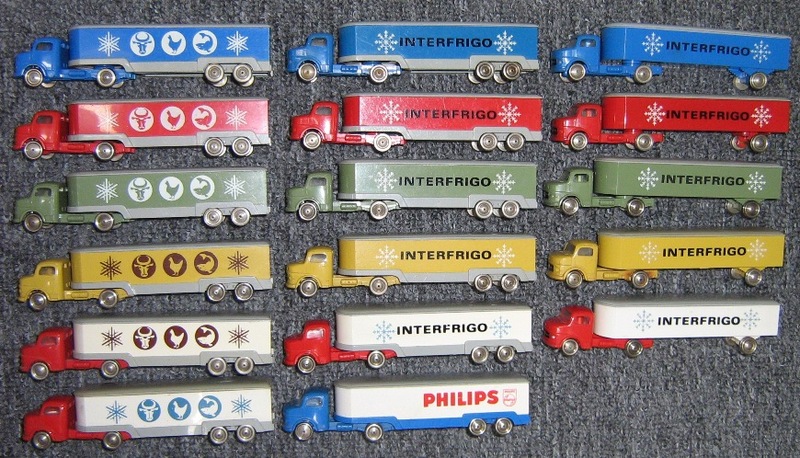 Those cars/trucks were HO train scale, which is highly collectible on secondary markets. There are many old LEGO printed bricks that can easily sell for up to and over $100 on the secondary market. And as you can see in this chapter, there are printed 1x6 and 1x8 bricks (mainly) that come in a mind boggling array of colors and designs! The #1308 and #308 Church Sets of 1958-62 have an especially rare printed 1x6 white beam, that comes in 6 known variations (it's used as a founding date over the church door).... some of the rarer ones of these (such as the variety in red) can command over $100 on the secondary market! Your posts are very interesting and I go through all your links - so please don't think that people are ignoring your work just because there aren't all that many answers! I must say that the amount of research you've done is remarkable. Thank you for this valuable contribution to the Lego community. Thanks so much for your "Norwegian" insight! 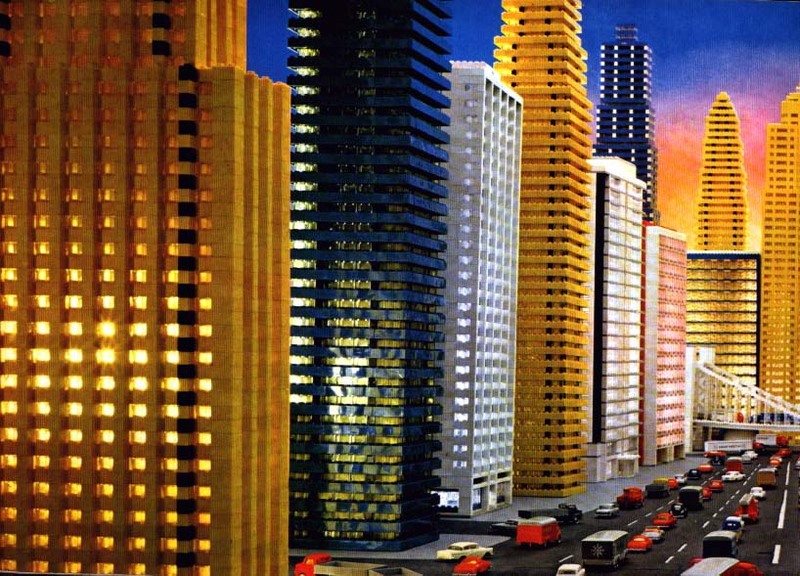 When LEGO sales started in Norway in late 1953, there was a toy import restriction, so the LEGO company could not export LEGO to Norway. But that was not a problem for LEGO founder Ole Kirk Christiansen, who did his carpentry apprenticeship in Norway (Oslo), and later married a Norwegian woman. 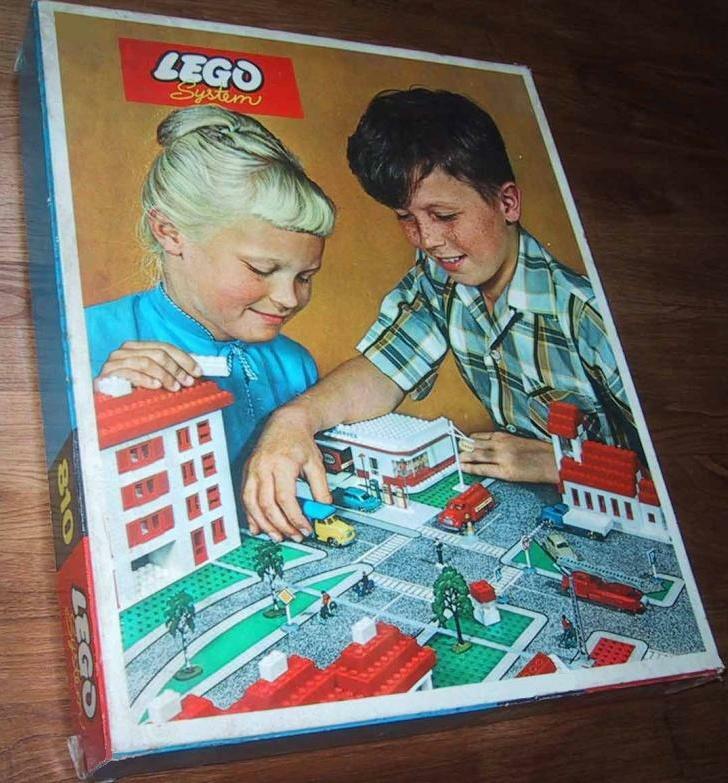 So Ole Kirk had contacts in Norway, and he licensed the first LEGO sets from a Norwegian plastics maker named Svein Strømberg & Co. 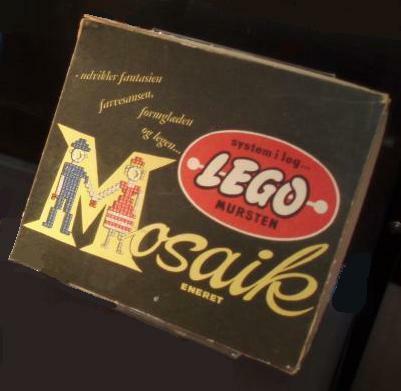 The LEGO subsidiary was called A/S Norske LEGO (changed to A/S Norke LEGIO in 1955, because they were selling non-LEGO toys, such as MECLINE, under the LEGO name). 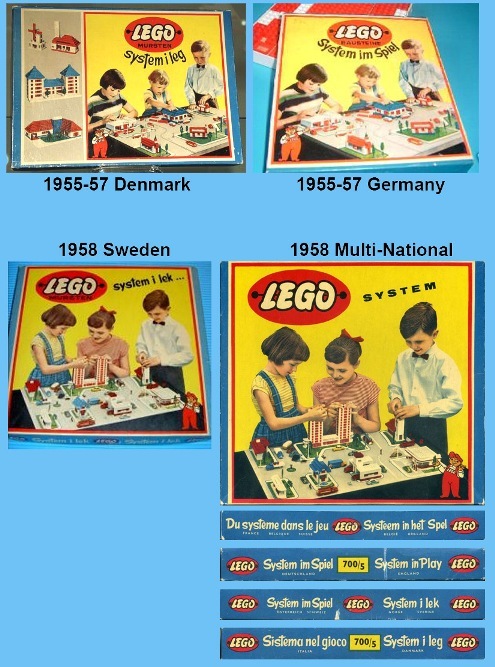 A/S Norske LEGIO produced LEGO sets and parts for the Norway market, and also some for Sweden, until 1962... when the import restrictions were lifted, and LEGO production was only done from Billund Denmark. (This info is covered in Chapter 73 LEGO Sales/History by Country). 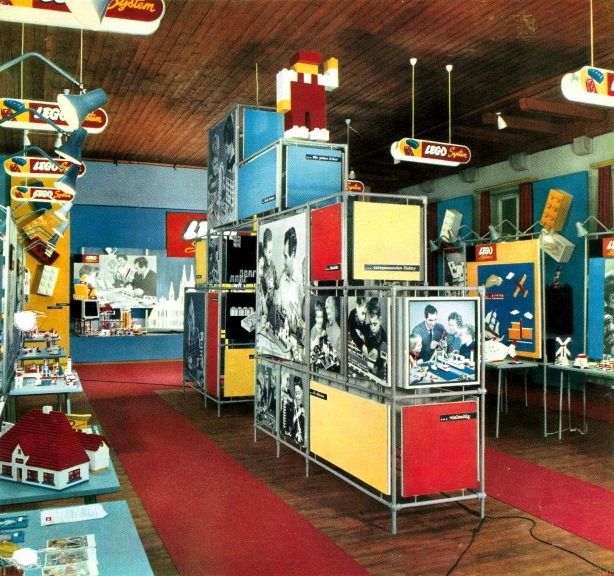 In doing my research, I received a lot of pictures and information from the LEGO Billund Archives and Collections. They also told me that both the Archives and Collections were missing a lot of information from the 1950s for Norway and Sweden, and from the USA/Canada in the 1960s. This was due to the fact that TLG Denmark didn't always know what was going on in those countries as far as LEGO sets and parts were concerned. So I am sending the folks in Billund a couple copies of my LEGO DVDs so they can help fill in a lot of information in their archives, and (if they can find the parts on the secondary market) add to their collections. 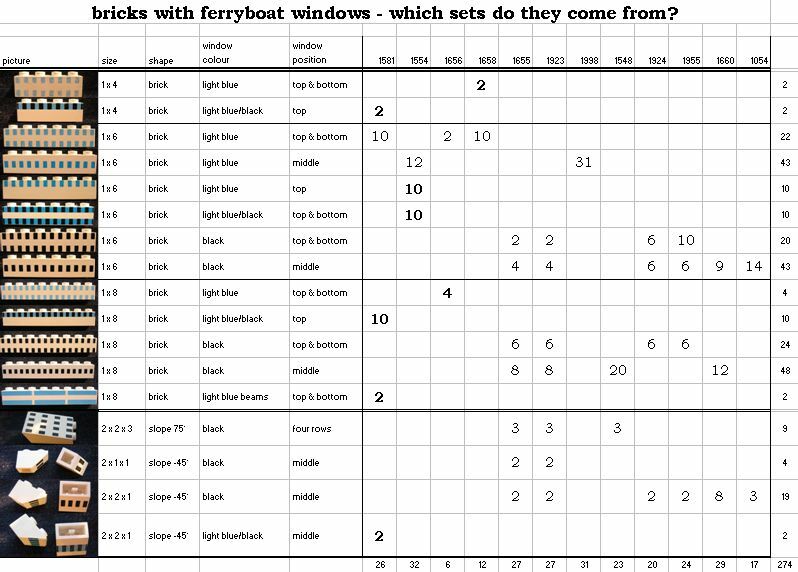 There were green classic windows/doors produced for Norway (selling for 100 Euros each in European auctions), yellow ones produced for Sweden (and in both cases nowhere else). There were also old road signs produced for Norway with red bases, and ones for Sweden with brown bases (gray is the normal color). But one of my favorite items (found in Chapter 49 that you saw)... was the Norwegian alphabet bricks in blue with gold lettering. 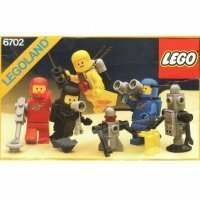 In all of these instances I just mentioned, the LEGO archives had no information on these. That DROSJ decal brick that you mentioned... the decals were likely produced in Denmark and shipped to Norway, which may explain the spelling error. Those decal bricks were likely only produced in Norway from 1955-56, before being replaced by printed bricks (the GARASJE brick dates to a 1957 VW Service set #1306). The LEGO DVD chapter on LEGO trees/bushes also shows Norwegian painted trees that are different than those produced for Denmark. Another Norwegian item were 10x20 thick baseplates in black. One of the best things about the LEGO DVD is that I have identified many LEGO items that are unique to certain countries... with Norway and Sweden being my favorite! Also, my DVD is available as a download.... with the 688MB of data taking only about 10 minutes to download. That saves on the shipping charge (of $3.00). What I have found out from many collectibles experts is that many of the most knowledgeable people about the history of collectibles do not work for the particular company. It seems to be pretty common for new companies to spend so much time surviving and trying to sell their product, that keeping archival records becomes an afterthought many years later. This is not unique to LEGO. That's why (plus my 52 years of collecting) no other database or reference guide gives you all the info from DAY 1. When the Fantasia folks put together the Official LEGO Collectors Guide (the one with the set rarity levels set at 1-to-6 bricks), the Fantasia folks of Germany had a lot of trouble getting accurate information from the folks at TLG. It was that prior to 1970 the TLG Archives are skimpy and ambiguous in a lot of their information. That's when the Fantasia folks contacted me, and asked me questions that they couldn't get the right answers for (I'm mentioned as a reference in their book). Ironically about 1/4 of all the info that I got from the TLG folks... I had to discard, because I had proof to the contrary. Ah, very nice to see an update to this, Gary. I bought the 2 previous versions from you on BL and will have to consider doing so again. Are you planning to offer a special price for previous owners who wouldn't mind just downloading this update? There was no point into taking it to the new millenium, since so many online databases have it covered. Ironically about 1/4 of all the info that I got from the TLG folks... I had to discard, because I had proof to the contrary. You're welcome! And wow... I wouldn't have expected that. They do seem to have poor records regarding keychains and gear, by the way.